The lobby of Ogden's Standard-Examiner boasts a few relics of a bygone newspaper era, like a linotype machine that used to be fed with molten lead to formulate print molds, and a hand-crank printing press. 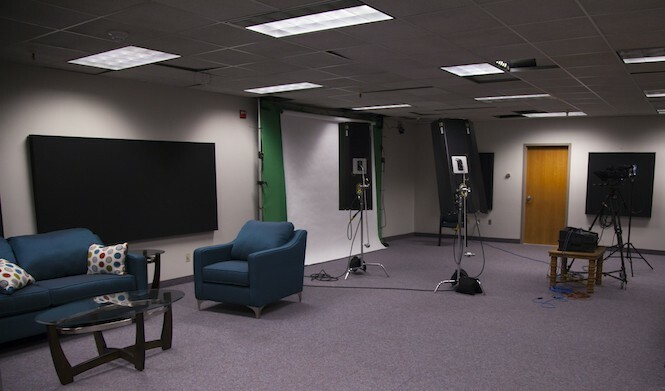 But in the upstairs office, cubicle walls are being taken down, a TV-style news studio has been built, and reporters are learning the ropes of video editing and how to operate shoulder-mounted video cameras. In recent years, the newspaper, which traces its lineage back to the late 1800s, has begun requiring that shooting photos and videos with smartphones be part of journalists' routines. 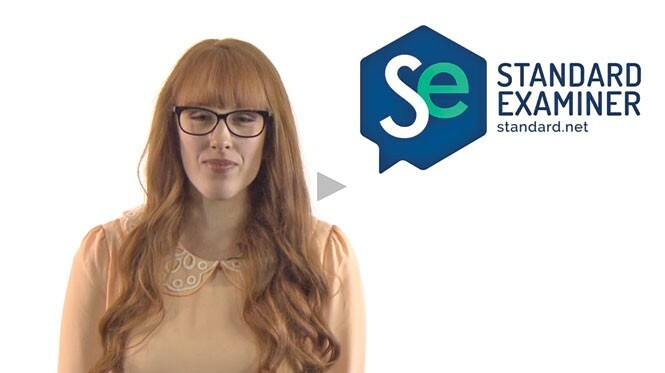 And in 2014, the Standard-Examiner made a push toward an all-of-the-above approach to reporting that includes investing in a new studio and three shoulder-mounted cameras. "It's not that we're asking the staff to do five different jobs, we're just asking them to do one job five ways," says the paper's editor, Andy Howell. In 2013, the paper had its share of layoffs, with the newsroom losing four positions. This year, as part of the paper's new digital direction, the Standard has added more staff and done away with the print graphic-artist position in favor of a new video editor who can help train reporters on shooting and editing footage. The paper's studio includes a tripod-mounted studio camera that Howell hopes reporters will be able to automate and use to record interviews with politicians or other sources. The push toward video has resulted in a variety of news formats, including a video feature called the Daily Update. In the style of a TV news brief, a staffer delivers a series of news updates, accompanied by still photos and links to the full stories. Instead of hosting videos on YouTube, the paper has its own video player, which it sells ad space for. In addition to staff content, the channel gathers videos from users, from footage of hailstorms to a video of the aftermath of a recent police shooting. Many of the reporters have become used to attending a press conference at the scene of breaking news and shooting raw video with their smartphones for immediate posting. The footage is often later edited to accompany the final story. Howell likens the reporters on the scene to first responders in an emergency who have to do what they can until the doctors can be brought in—in this case, the video editor, who polishes and refines the reporters' iPhone videos. "The first reporters there have to be able to do everything, and then the specialists come later," Howell says. In the midst of breaking news, the staff is also working on special documentary projects, like Making the Grade, an online video series about education problems in local school districts and the state as whole. The six-part series of 20-minute films recently won second place for the Inland Press Association's contest for excellence in digital journalism. The move toward video is one that Howell says developed organically, as the paper has always had an emphasis on photography and even shooting its own documentary projects, starting in 2009 when the paper gathered sponsors to help create the DVD The Sky is No Limit: Behind the Scenes at the 2009 HAFB Show. And the approach of trying everything is one that appeals to the paper's visuals editor, Kathleen Duncan, who says that you normally see papers try the handheld approach or polished documentaries, but not both. "We're trying everything and seeing what works for our audience," Duncan says. She adds that while some reporters struggled, especially in the beginning, "some of our reporters really love doing video—they'll do it without me asking them, and come back and edit it because they're so into it." For Howell, the focus on video is not about having gadgets, but about having staff comfortable in using multiple platforms instead of specializing in one medium. He points to the specialization of the subject of the documentary Grizzly Man, who spent years living with Alaskan grizzly bears to get photos and video that "nobody could match." "But what happened to him?" Howell asks. "They ate him." An old-school journalist who specializes in just writing or just video might not meet so gruesome a fate, but their method might not help keep their careers alive. "So the professional journalist isn't going to match that," Howell says. "But if the journalist can also write, analyze and get videos and photos, too, then that's the new genre for what's 'professional' these days."